Fruit acid peels contain natural chemicals (glycolic acid) and are also known as alpha hydroxy acids (AHA). Peels are considered a full treatment program if done over several months. Resorcinol peels cause a slightly deeper peel much like sunburn. Superficial peels do NOT interfere with your normal everyday activities, so you need not take time off work or stay at home out of the public eye. In other words, these peels are a full treatment program over several months. 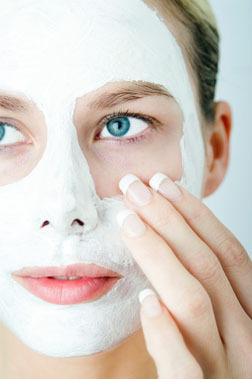 Trained Professsionals should perform the peels, as they contain b ingredients. For results, Begin with your Skin Medspa Center recommends the completion of a peel program once it's started. The treatments have a cumulative effect where the previous one enhances each subsequent treatment. From experience we have found the ideal number of treatments to be six. Following the treatments, light cell turnover (peeling) may occur. Strength and length of application is adjusted on succeeding treatments according to the repeating patients treatment response. It may be important to combine the regular applications at our clinic with an ongoing treatment, which you perform yourself, using special creams, on a daily basis. Clear instructions are given with our skin-care preparation packs, and are monitored to suit your skin type. We recommend that after your treatment, you have a peel done every 2 to 3 months as on-going maintenance. The superficial peel extends 0.06mm to the papillary dermis, while the deeper chemical peels extend 0.45mm to the upper reticular dermis causing extensive shedding of the upper skin layers. Your skin will look as if it has had a very severe sunburn, so most patients choose to remain at home and out of the public eye for 5-7 days. You may leave the house, as long as you avoid the sun and strenuous exercise. Keep away from unnecessary facial expressions as this may cause premature peeling of the skin resulting in scarring. Your skin needs to be pre-treated for two weeks prior to the procedure, with retinA cream and hydroquinone cream. These creams prime the skin, and prevent hyperchromasia (darkening) occurring after the peel. The peel consists of a high concentration of trichloroacetic acid (TCA), which burns, when applied. For this reason, the procedure needs to be performed by Dr. Rocheford under very controlled conditions to minimize discomfort. During the peel, your skin will blanche (whiten) and then turn pinkish in color. Over the next few days, the skin will peel extensively. It is important not to pick at it. We give clear instructions on your follow-up skin care program at home. Seven to ten days after the procedure, you will be advised on further use of the hydroquinone cream and may use makeup once your skin has healed. All my life I had freckles on my face. Having a Chemical Peel changed that! Now my skin is smooth and clear. Thanks Courtney! What are the reasons for having a peel? What regions of the body can be peeled? What are the different types of peels? Chemical peels are classified as being SUPERFICIAL or DEEP. The SUPERFICIAL peels include the naturally occurring fruit acid peels, or the chemical resorcinol. For optimal results, peels may need to be performed 4-6 times. The DEEP peels include the TCA (or trichloroacetic acid 35%) peels, which only need to be performed once. What are the problems associated with chemical peels? Are there any other treatments that I can have? CO2 or Erbium Laser resurfacing.